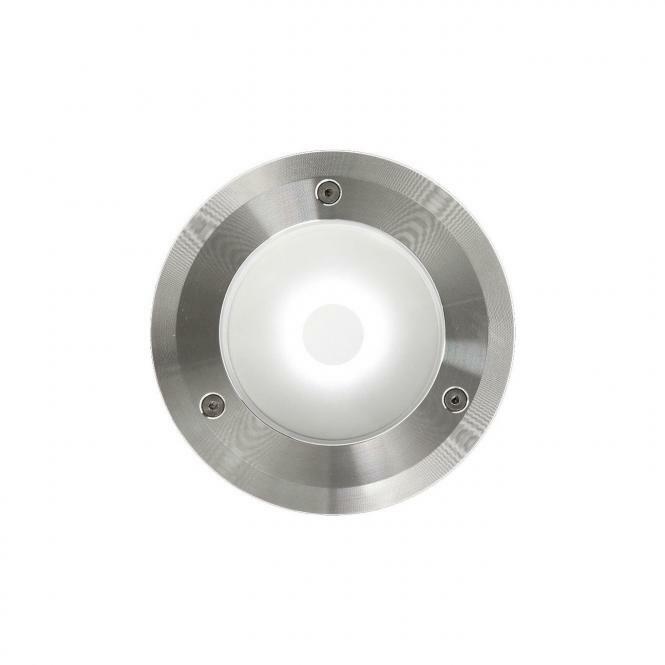 Round recessed luminaire for outdoor installation on wall and ground. Sandblasted glass with silkscreen border, AISI 316L blasted stainless steel frame. Installation: the luminaire is equipped with a plastic cable gland and a piece of cable for an easy-to-make connection. Installation requires a dedicated box to be ordered separately. It is important to provide a >200mm gravel layer or a drain system (for concrete surface) to ensure good drainage and to avoid water stagnation.